- 1 packing (in the packing of 50 pcs of 10 gr). Ointment Frostlike 2.5 mg containing corticosteroid hormones, successfully used to treat various skin diseases. 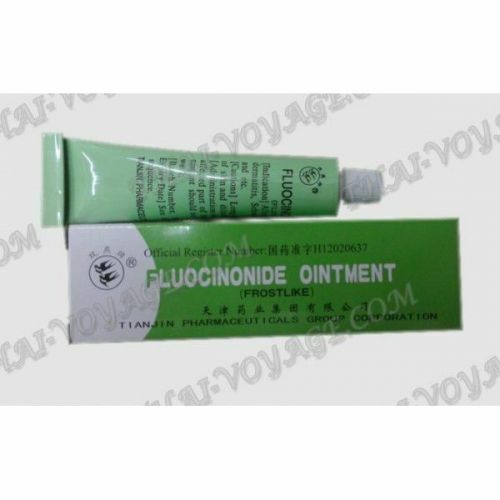 The cream is Fluocinonide ointment used for quick and effective elimination of allergic dermatitis, for the treatment of psoriasis and eczema, to eliminate itching and rashes on the skin. Indications: eczema, rashes, dermatitis, psoriasis, pruritus, etc. Application: apply the ointment in a thin layer to problem areas 2-3 times a day. As the cream contains the hormones, be used with caution!